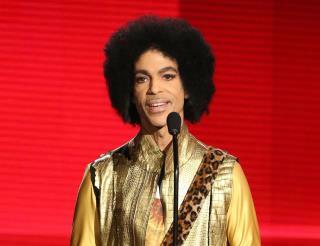 (Newser) – The doves may soon dry their tears: a new Prince EP is set to be released Friday, the first anniversary of his death, Rolling Stone reports. The six-track Deliverance—which a press release notes can be preordered online at iTunes, Google Play, and Amazon—is a posthumous compilation of songs co-written and co-produced between 2006 and 2008 by the Minnesota pop star and Ian Boxill, whom he often worked with and who finished up the songs after Prince's death. The title track, which Rolling Stone says "unleashes fervent guitar and vocal performance," is already available to stream and download; the remaining short tracks make up what's called the "Man Opera" medley, plus an extended version of one song. a lawsuit filed by Paisley Park and Prince's estate accuses Boxill of breaking a confidentiality contract and "trying to exploit one or more songs for personal gain"; Who isn't? Not sure how I feel about an artist releasing music from the dead. How do we know this is what they want released or that it hasn't been altered? It sounds like a grab for cash rather than a project from passion.